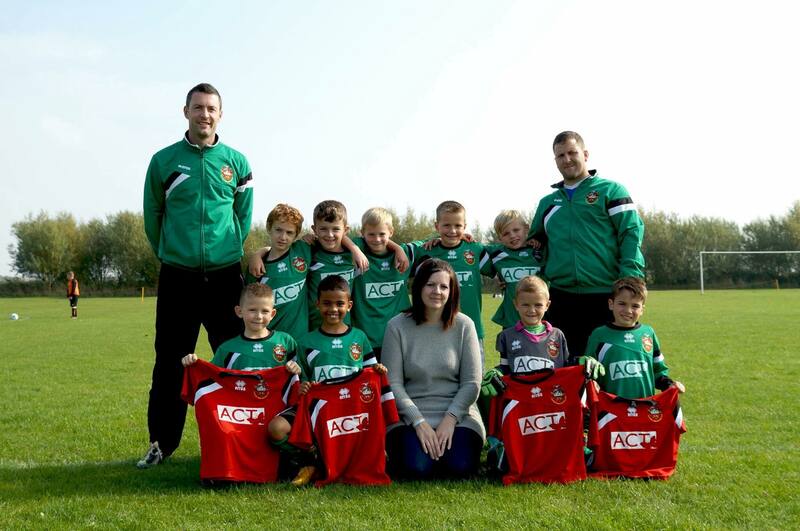 After speaking with Neil Sayce and Jason Davies we made the decision to sponsor the Sleaford under 8's football kit. This has helped hugely in raising awareness of Spinal Muscular Atrophy within our local community and the parents of the team have been hugely supportive in raising funds for the charity also. Quote from Jason and Neil.. "We feel privileged to receive this sponsorship and unbelievably proud to represent such a worthy charity. Our success as a team is insignificant compared to the invaluable support the Ally Cadence Trust offer families affected by SMA, and we look forward to helping maintain this by our own involvement within many of the planned charity fundraising events." We would like to take this opportunity to thank Neil, Jason and the team as a whole for their support and we look forward to what the coming year will bring.